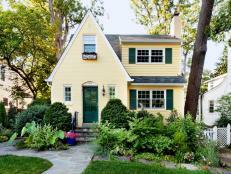 You can have privacy while allowing natural light to flood into the most relaxing room in your house. Floor-to-ceiling windows bring in an abundance of natural light, and connects the indoors with the outdoors. 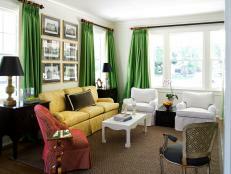 It is essential to have the proper window treatments to make the room more livable. 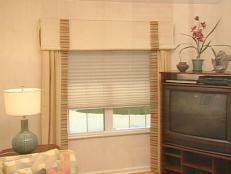 The addition of classic blinds adds privacy and keeps light out, while also enhancing the modern design of the room. A bedroom surrounded with windows makes finding practical and stylish window treatments a challenge. 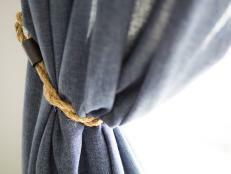 Push back curtains with tie backs to allow light to stream in during the day, and untie them to block out light during the evenings. The semi-transparent window treatments in this bedroom enhance the ethereal ombre lacquer walls. 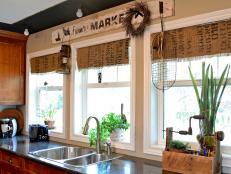 The circle borders on the window treatments soften the lines in the wall treatment and modern furniture. This bedroom utilizes two types of window treatments — the plantation shutters control the flow of light into the room while blending into the window design, while the silver gray curtains give the room a masculine guise with the double row of stripes replicating the lines in the plaid bedding. The draping of the canopy above the bed is a dreamy, soothing feature in this guest bedroom. The gathered fabric of the canopy balances out the structured window treatments, while the beaded fringe trim reflects the decorative fabric in the bedding and creates a sense of harmony. 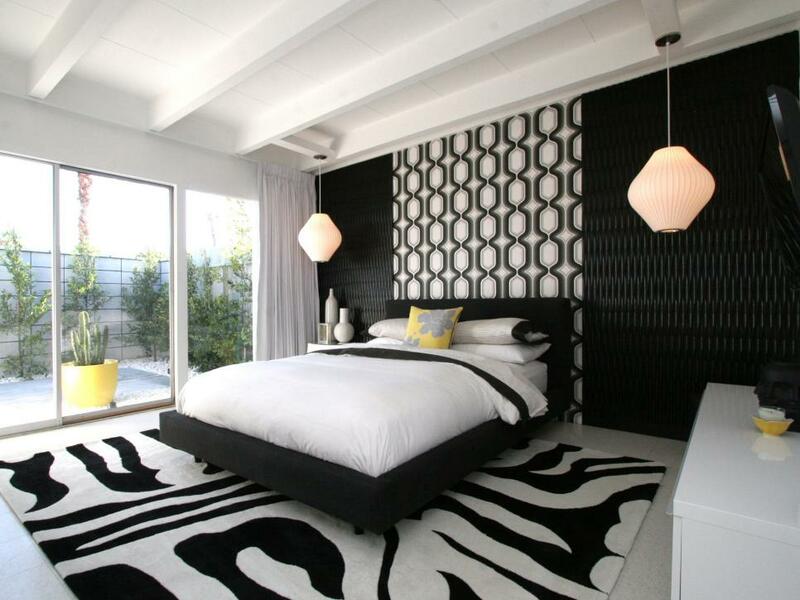 Mixing patterns, such as in wall treatments, rugs and light fixtures, is a great way to add personality to a bedroom. 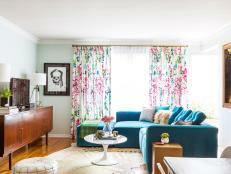 Classic curtains in a clean, solid color can balance the varying prints in the room. For a seamless canvas, choose the same color for the ceiling and flooring. 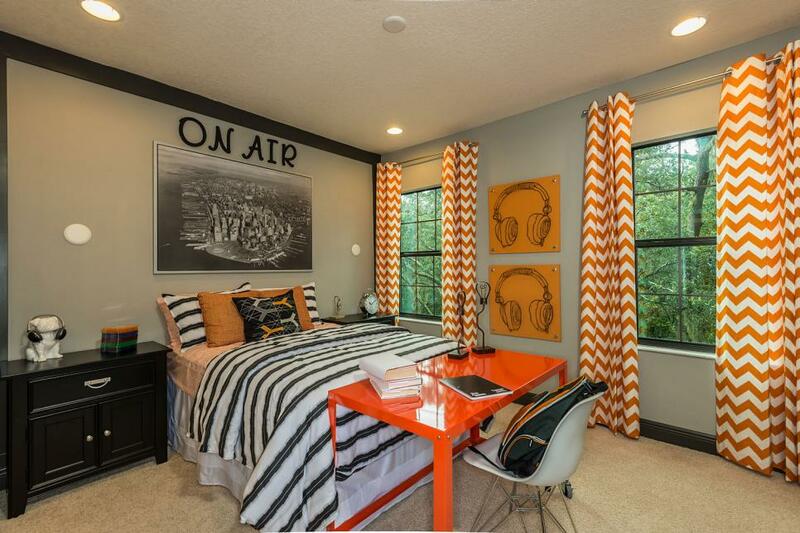 Stripes are a playful yet classic pattern to incorporate into a kid's bedroom design. 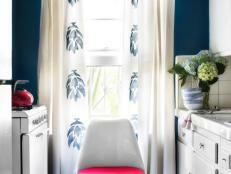 In this kid's room, the striped valance mirrors the rug and colorful artwork. The same linear design is also carried through to the gray shades, the sleek design of the headboard and nightstand. Round ottomans and bolster pillows soften the edges. 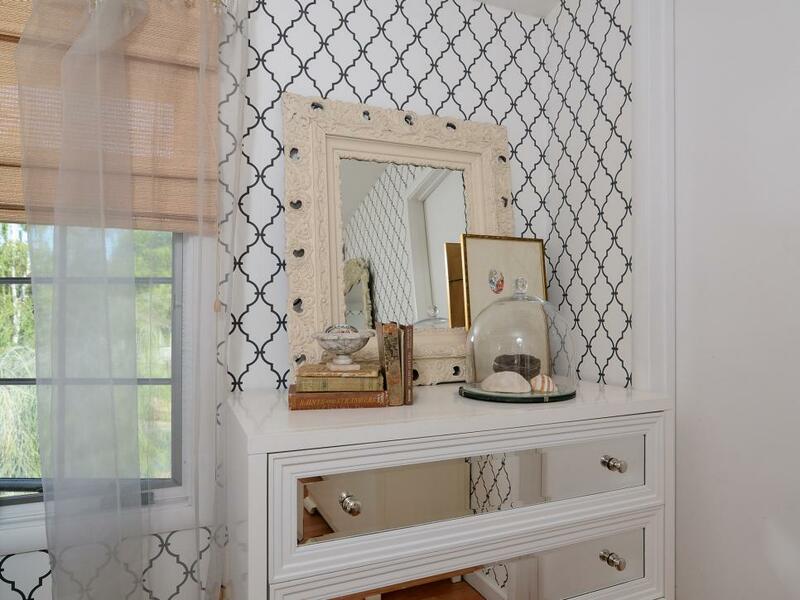 The key to creating a feminine bedroom is through the use of ornate pieces and delicate fabrics. The sheer, ruched shades add a layer of softness to the opulent, gilded bed. 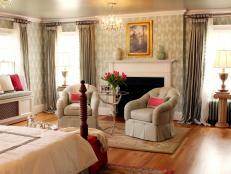 The ruffled accent pillows on the bed also lend to the femininity of the room and harmonize with the linens. The boldly-striped Roman shades take the eclectic bedroom's design up a notch with its curved design against the orange, fuchsia and yellow hues in the room. A bronze birdcage chandelier and floral table lamps enhance the whimsical feel of the room. 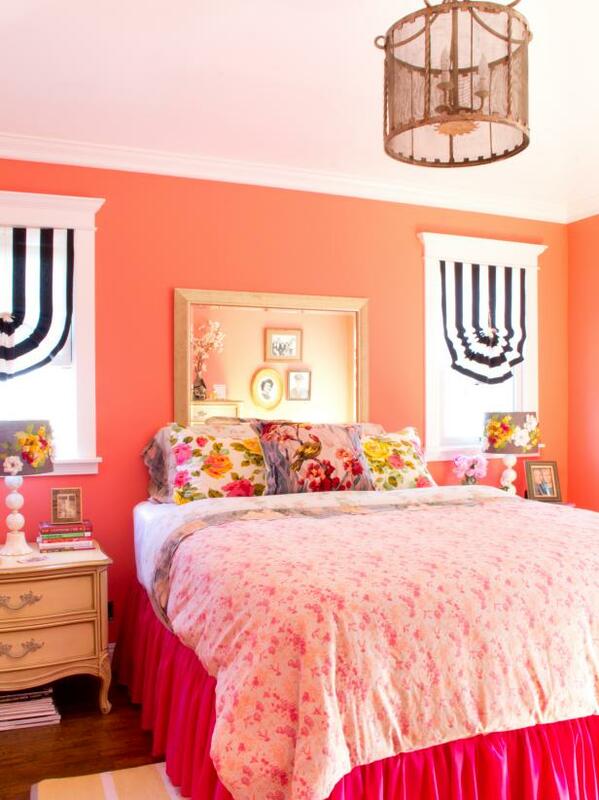 This teen bedroom doesn't shy away from color or pattern. The lacquered orange desk creates a functional workspace and acts as a cheerful counterpart to the patterned orange curtains. The soft gray walls balance the vivid use of color. The neutral color palette in this girl's bedroom creates a canvas accented with bold color so the room grows with the child. The silvery gray Roman shades merge flawlessly with the patterned design above the bay window, while pink accents energize the gray tones. The innovative design provides storage and space for playful decorative pieces. 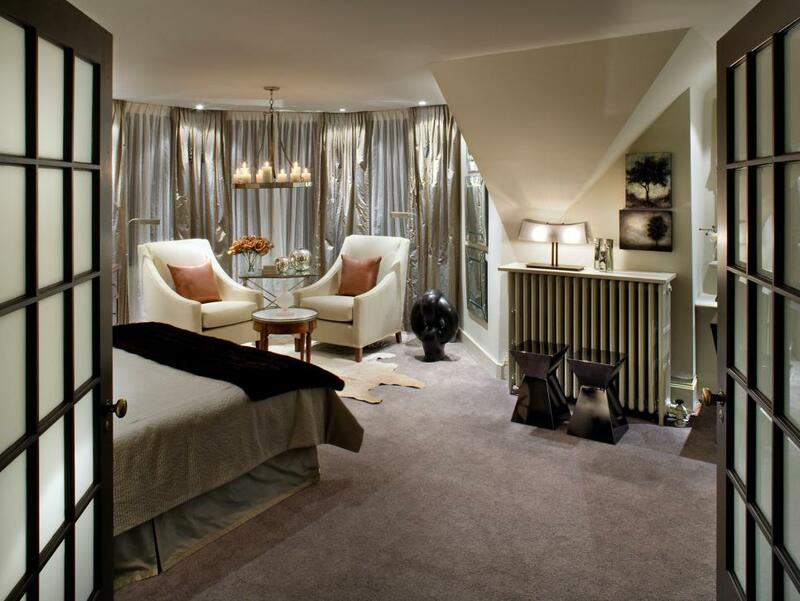 The ceiling treatment in this contemporary bedroom creates the illusion of an evening sky. 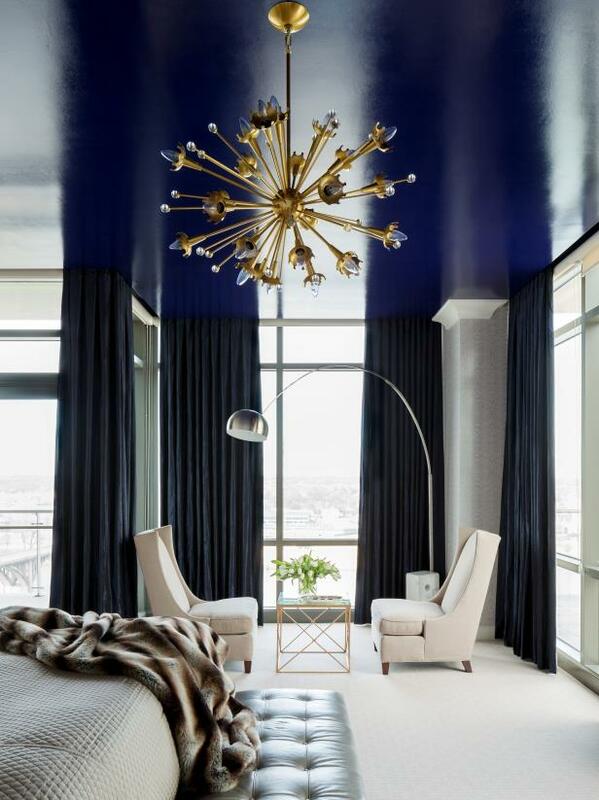 The elongated navy curtains blend seamlessly into the ceiling, adding to the eye-catching effect. A gold table and a pewter floor lamp add metallic touches in this otherwise neutral bedroom. 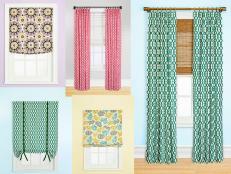 Sheer window treatments are idyllic for the morning person who likes to wake up to the crescendo of light. 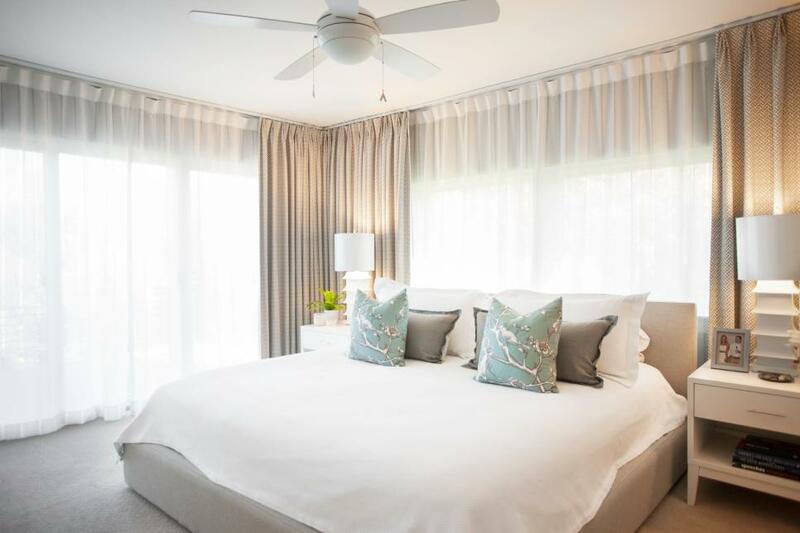 This allows for privacy while allowing light to stream in, shining a spotlight onto the posh bedding topped with neutral and robin's egg blue throw pillows. The transitional room takes advantage of light coming in with the use of neutral furnishings that keep the space light and airy. Plantation shutters mirror the shutter motif of the upcycled metal headboard. In this bedroom, Chip and Joanna Gaines, hosts of HGTV's Fixer Upper, salvaged an industrial metal air vent to create a one-of-a-kind headboard. 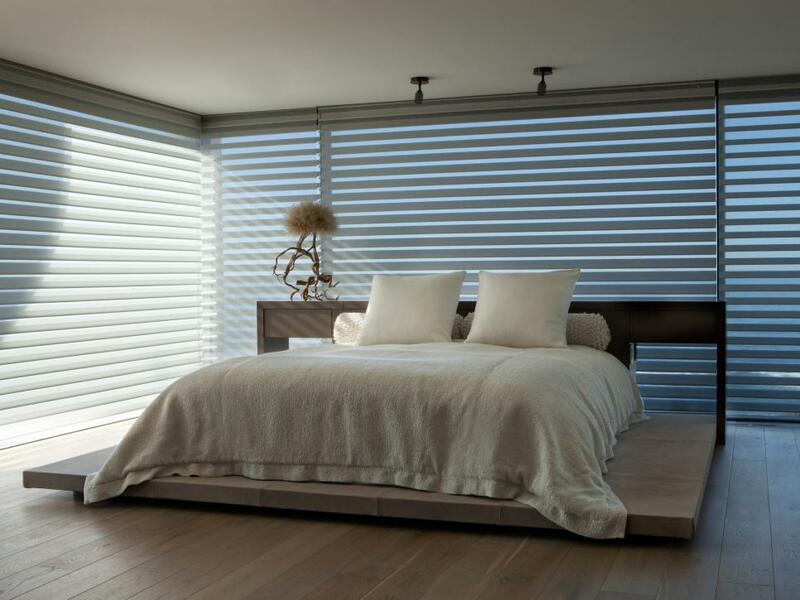 The gray-and-white color palette allows the headboard and shutters to be the focal design elements of the room. 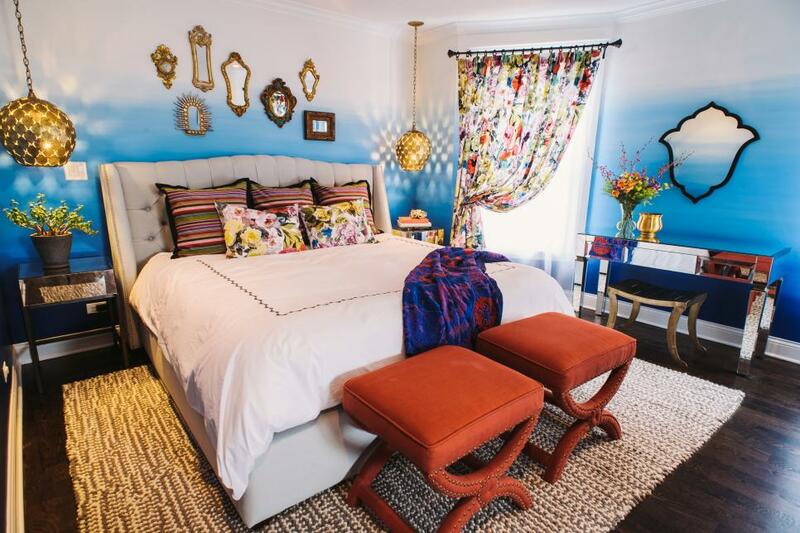 Unexpected facets bring a one-of-a-kind look to this eclectic bedroom. The gold mirrors and brass pendant lights accentuate the blue ombre wall treatment, while the floral pattern of the bed pillows are carried through to the cheerful curtains. 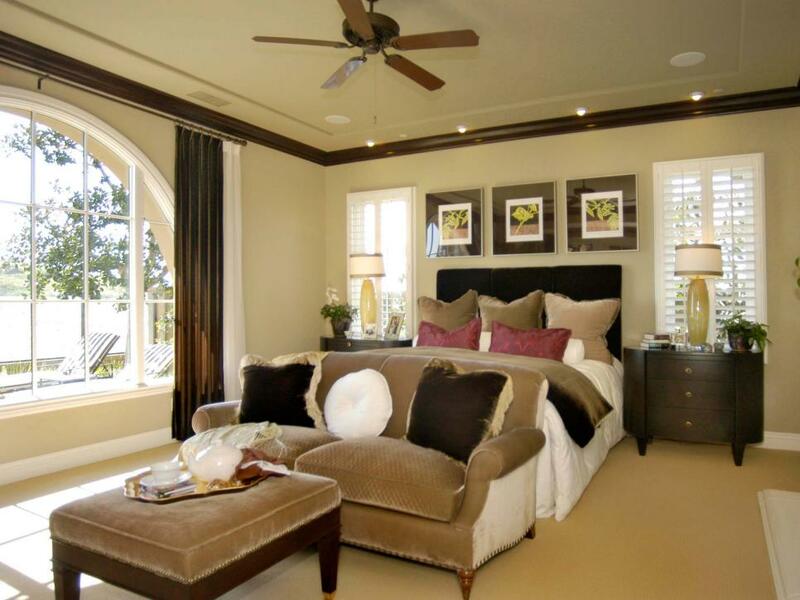 The neutral bedding anchors the room's design. Metallic gray floor-to-ceiling draperies create a intimate environment. The wall art, stools and table enhance the metallic theme. 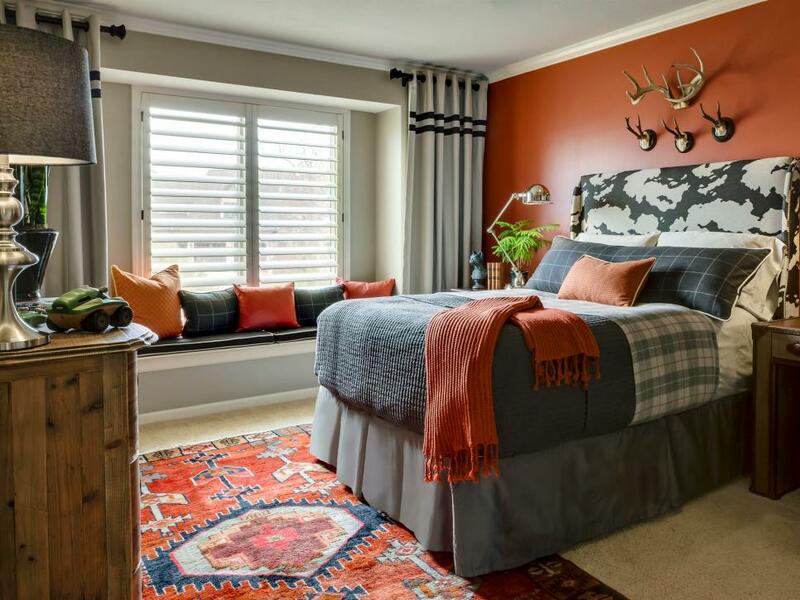 Upholstered chairs and a cowhide rug in the sitting nook soften the look. 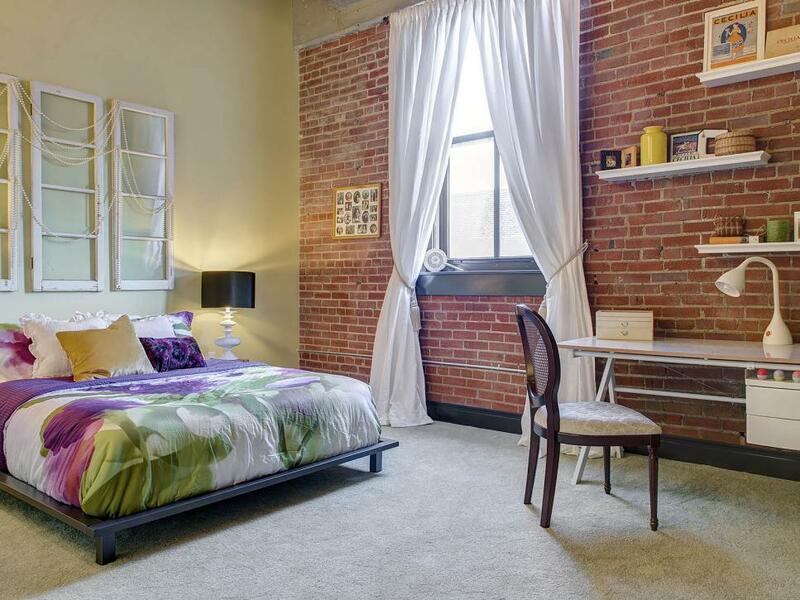 An exposed, brick wall acts as the setting for open shelving and gives the bedroom a loft-style feel. The soft carpet, whimsical floral bedding and smooth, white draperies add a laidback vibe. 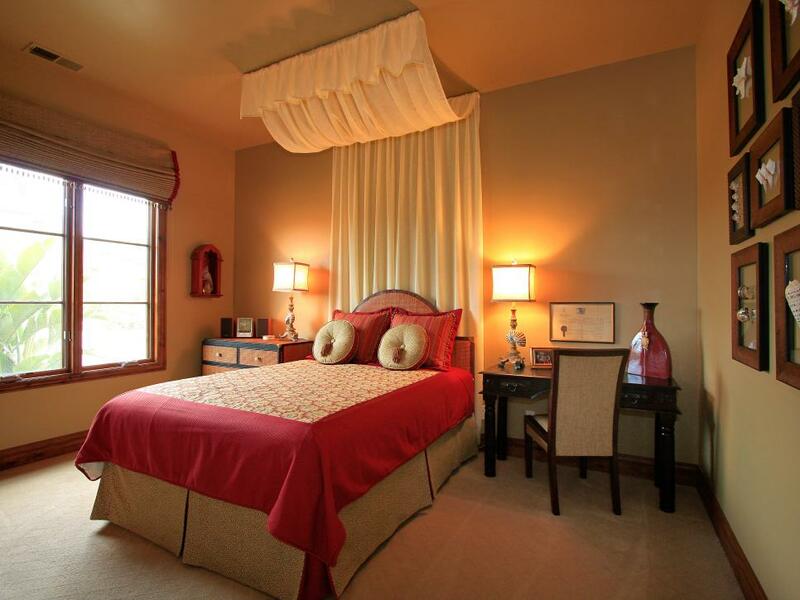 The side-swept, swag curtains give this guest bedroom grandeur and a majestic ambiance. 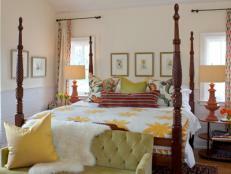 The lavish textiles of the curtains and bedding add a posh attribute with an unflustered, clean design. A burlap Roman shade layered with a sheer curtain gives this bedroom the best of both worlds where function meets style. 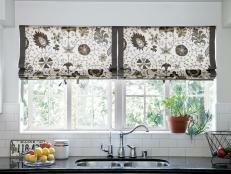 The clean lines and classic look of the layered window treatment allow for a fun, bold-patterned wallpaper that still stays true to the room's cottage chic style. Arched windows allow light to flood into the room while establishing an aesthetically-pleasing detail. Positioning a curtain rod above the highest point of the window's arch eliminates the need for custom window treatments. 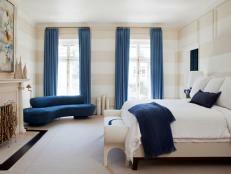 Plantation shutters flank the bed to create a warm, inviting feel.